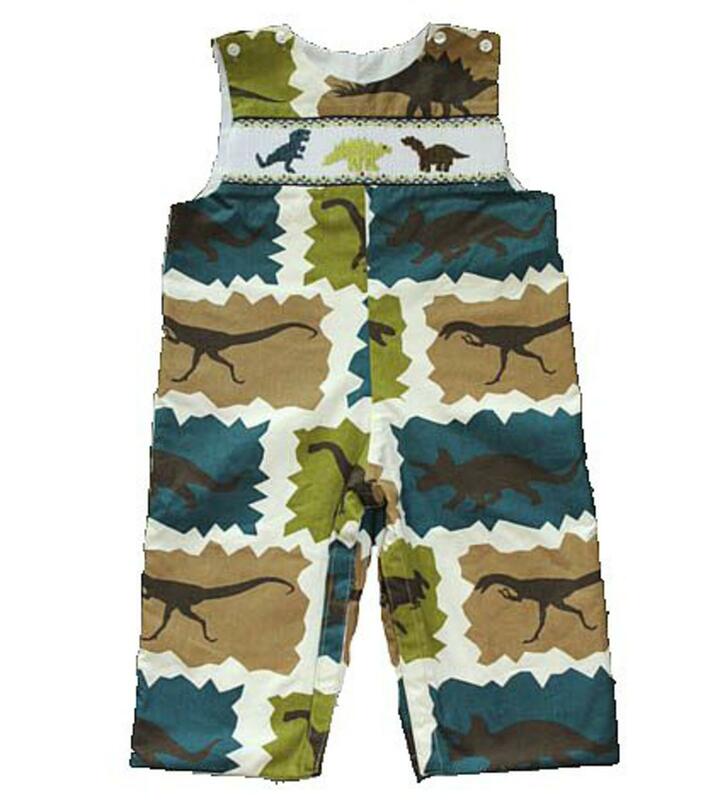 Boys love dinosaurs and this adorable longall has three dinosaurs handsmoked on the chest with brown piping lining on both sides. There is a fun teal, tan, cream and olive green dinosaur print fabric all over with two buttons on each shoulder to get on/off easily and snaps on the inside of the legs to accomodate diaper changes. This super fun outfit is 100% cotton and would look perfect with a chocolate turtle neck.